Moving your permanent place of residence to another country can be an exciting adventure - or a bureaucratic nightmare. The difference lies in the quality of your planning, and the attention given to the paperwork you’ll need to clear customs without trouble. Yet, even diligent preparation may not be enough, if you’re new to the logistical challenges you’ll face when moving internationally. For this reason, an experienced international moving company such as A1 Auto Transport, Inc can be a godsend - as they can guide you through the process every step of the way. This ensures the minimum of hassle, a much-reduced chance of serious issues and the least amount of stress for you. That said, you should still be aware of the required documentation and the import duty and tax exemptions which are available. If you’ve decided to relocate to Italy in the near future, these types of questions are likely weighing on your mind, and you may wonder just what you need to successfully navigate through the complex importation process. To help you gain a better understanding of the paperwork and costs involved, here is an overview of how to move your belongings overseas to Italy. What About Your Household Belongings? Whether a tariff applies when importing your household belongings into the country, is a top concern when moving. Fortunately, you can bring all of your normal household goods with you during your move - without paying any import duty, tariff or tax. That’s provided your items are at least 12 months old and have been used by you in your previous place of residence for the space of one year. You’re also required to live outside of Italy’s borders for the past year before importing your goods, if you wish them to be exempt from all added duty and tax (1). Additionally, Italy has new health and safety regulations regarding humidity and mold inhibiting products being included in your shipment. If your container has these included (such as moisture absorbing bags or mold growth retardation bags) - these must be declared. You must also provide an official certificate that states what these products are made of, and that they are free of dimethyl fumarate. This certificate must be from an accredited UNI CEI EN ISO/IEC 17025 facility and you may need to provide a legalized translation into Italian for this certificate as well (2). Also, be aware that due to changes in EU import laws, you must have an Economic Operators Registration and Identification (EORI) number. If you fail to obtain this, your shipment will be unable to pass through Italian customs (3). Like this article? Don't miss "Local's Guide For Moving To Small-Town Italy." Being eligible for the import duty exemption isn’t enough - you must provide customs with the proper paperwork showing that this is the case. 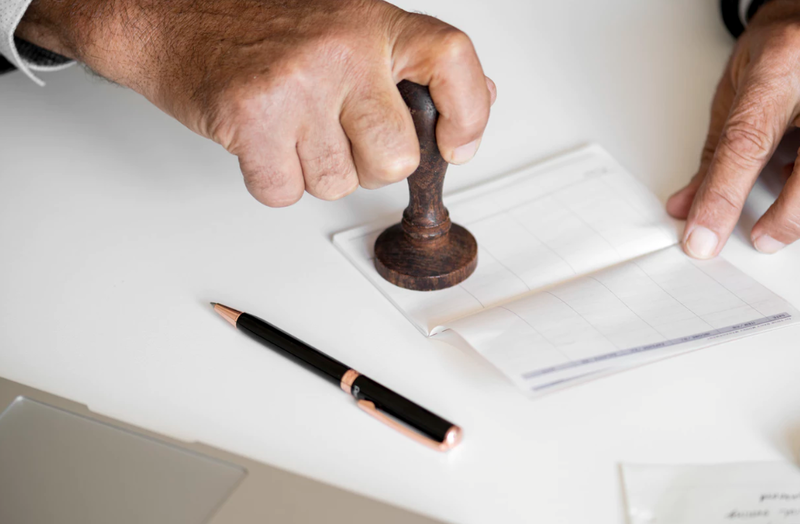 Additional documentation is also required by Italian customs, including their Dichiarazione Sostitutiva di Certificazione form(which must be filled out and bear your signature at the bottom). This document should also state how many people are in your family, the city where you were born and what nation you’re moving from. It should also include what date you began your Italian residency (4). You’ll also need your passport, a packing list written in either Italian or English and your Original Bill of Lading or Air Waybill. You may need to provide your tax code number (Italian customs form Codice Fiscale from the Agenzia delle Entrate) as well. If your previous place of permanent residence was in another EU nation - then you’ll need to have your inventory stamped by the Italian embassy or consulate in the country you’re moving from. This authenticated inventory should be affixed to form Dichiarazione Consolare di Rimpatrio (5). Although this form is for returning Italian citizens, apparently it is also applicable for residents of other EU nations moving to Italy. Since permanent transfer of your primary domicile is a condition of import duty exemption - you must demonstrate this fact. To do so you’ll need to give customs a copy of your Residence Certificate (also called a Residence Receipt). You can obtain this from the city hall in the locale where you’ll be living within Italy, by asking for residence registration. You’ll also need a document called the Permit to Stay (Permesso Di Soggiorno), which is issued by the provincial headquarters for the police (the Questura). Finally, a reputable source states that you may also have to show a receipt of annual payment for TV service - though this apparently doesn’t always apply (6). Odd requirements such as these highlight the need to work with a qualified moving company like A1 - as failing to have these kinds of obscure documents could put your exempt status at risk. What About Your Personal Vehicle? Importing your personal motor vehicle without paying added import duties, tariffs or taxes is possible. To be eligible for this exemption, you must have purchased your vehicle at least six months ago and used it personally for all of this time. The vehicle is also required to adhere to European technical standards (7). 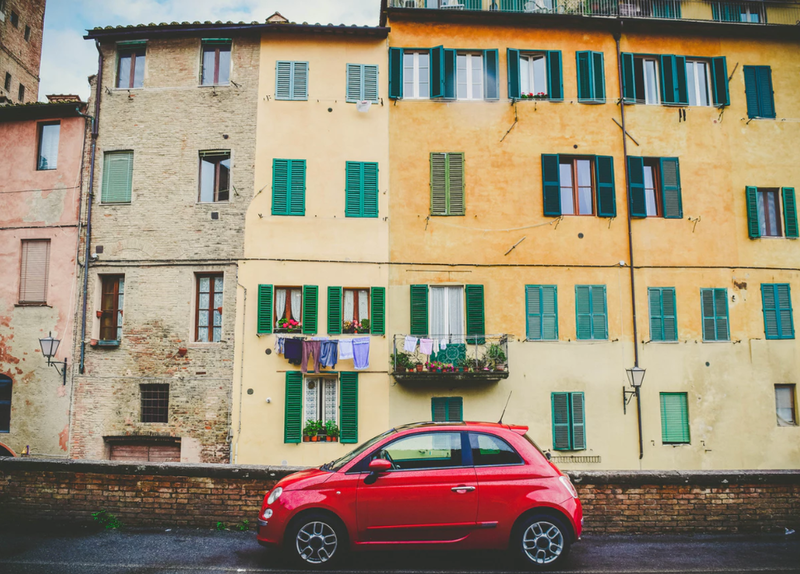 If you’ve owned your vehicle for less than a year, then you cannot sell, rent out or even give it away for a full year after moving into Italy. However, it is not clear if this requirement also applies to all vehicles brought into the country exempt from the typical duty and taxes (even those owned by you for longer than one year) (8). You’re also not required to bring in your vehicle when you move - as you’ll have six months from the date of establishing permanent residency in Italy to import your vehicle without paying duty. If you fail to meet these guidelines, significant import duties and taxes must be paid - so taking great care in the importation process is advised. While you’ll still be able to import your vehicle if you don’t meet the requirements for exemption, both import duty and value-added tax (VAT) will be incurred (9). Just like with importation of your household goods, detailed paperworkis necessary to obtain duty and tax exemption for your vehicle. You’ll need your Original Bill of Lading, license, proof of insurance and passport. You must also submit both the Title and Registration for your vehicle from the country of origin (these should be the original documents not copies) (10). Italian customs also requires that a Technical Data Sheet be provided. This document is written by the company that makes your particular vehicle, and it will list its various features. It must also include a declaration, stating that your vehicle adheres to all European Union technical standards for road motor vehicles (11). It’s also necessary to prove transfer of permanent residency into Italy, to be eligible for the import duty and tax exemption. You’ll need to give customs your Certificate of Residence to fulfill this requirement. As stated above, this document can be obtained from the city hall in your new city of residence within Italy by requesting it (12). With so many complex details to be aware of and all the specific paperwork required - trying to maneuver through customs on your own isn’t wise. Doing so can be a potential fiasco, as if you fail to meet all the documentation requirements, both your goods and vehicle could be denied import duty and tax exemption. In addition, the logistical challenges of shipping your belongings without using a full-service company are likely to be daunting - adding much more personal strain and far more work to your move. So, why not take advantage of the professional moving services of A1 Auto Transport- to ensure your relocation is smooth and worry-free?